I remember writing similar post when Begum Kulsoom Nawaz passed away. Her death exposed our constant decline of society and our empathetic disconnect with the people around us. I genuinely hoped that this divide of hate and act of mocking deaths would not repeat but i was so wrong. 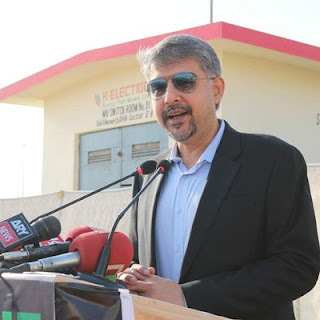 It happened again when Ali Raza Abidi ex-MNA was murdered in the city of lights right at the doorstep of his house. Most sane people, parties, celebrities condemned and sent their condolences over this act of savagery but there was one faction that did not condemn but instead praised his demise. What kind of mental state one has to be in to enjoy or to say that murder of an harmless,soft spoken politician who was never seen abusing or mistreating even his opponents. A soft spoken guy who belonged to MQM and worked for the amelioration of the society he was part of. This certain party or his follower not only mocked the death of a harmless lady Begum Kulsoom Nawaz but behaved in same notorious fashion over death of Ali Raza Abidi. It seems like it's becoming a norm in Pakistan, gone are the days where you respect and don't say anything bad about departed soul. I have seen comments on Facebook posts accompanied with scores of tweets hurling abuse towards departed soul of Ali Raza Abidi and there was only one thing common amongst all such hateful comment. The aim of this blog post is not to degrade someone but more towards understanding the psyche of PTI followers. The need to have a foundation or logic to any disagreement is not the necessity anymore but it seems like anyone who is disliked by Kaptaan is Traitor and should just rot in hell. Maybe i'm too much of a softie to believe that we should not celebrate death. Doesn't matter whose it is, Period. "Dushman maray te khushi na karyeSajna v Mar jana"
As a society there is a constant disconnect of empathy and lack of humane feelings, the amount of killings we see on TV or hear about on daily basis it appears we have developed some kind of strange fetish where we enjoy the death, especially if it's of our rival. Such societies only get further drawn into violence and the culture of healthy debates die eventually. In the end all i'd like to say that I hope some day this country turns into a garden instead of a pricked barren desert where there is no room for dissent and anyone having different opinion to the one "approved" by the government is either labelled as traitor or Kaafir. Live and let live please.May Allah bless all the departed souls with his eternal mercy . Because if it was up to us only hell would be filled and heaven would be empty.